This pack contains 1 copy of Engineering Mechanics: Dynamics in SI Units + 1 printed access card to Mastering Engineering with eText + 1 copy of Engineering Mechanics: Dynamics in SI Units Workbook. A Proven Approach to Conceptual Understanding and Problem-solving Skills. Engineering Mechanics: Dynamics excels in providing a clear and thorough presentation of the theory and application of engineering mechanics. Engineering Mechanics empowers students to succeed by drawing upon Prof. Hibbeler’s everyday classroom experience and his knowledge of how students learn. This text is shaped by the comments and suggestions of hundreds of reviewers in the teaching profession, as well as many of the author’s students. 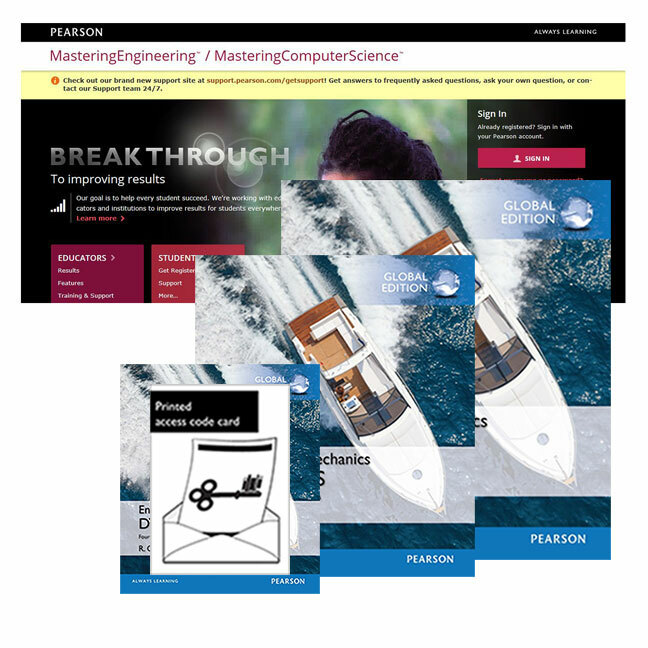 Mastering Engineering is an online homework, tutorial, and assessment product designed to personalise learning and improve results. With a wide range of interactive, engaging, and assignable activities, students are encouraged to actively learn and retain tough course concepts.